Hartford-born emcee BillySwagga brings explosive energy to the mic. 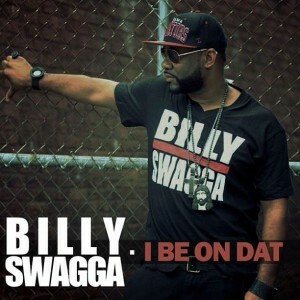 Pairing street sensibility with dance floor ready tracks, BillySwagga (nee Trickee) has peformed at notable venues including Mohegan Sun Casino (Connecticut), Frontline Las Vegas, Club New York (New York City), and the XL Center in Hartford, where he opened for The Hot Boyz. Frankie Nunez gave BillySwagga an early but hard hitting break; putting him on a multi-city promotional tour. BillySwagga’s musical sensibilities come through on his tracks. He was a student of violin, piano, and African dance (Yabo) as well as a longtime songwriter. Eager for the craft of making Hip-Hop and Urban Dance music, BillySwagga is currently working with top Urban producer Chasebeats on a limited edition release which he will follow with an album. His current singles, “We Goin Get That” and “You No What I Want” are picking up listens on Reverb Nation.